Mesa Custom PC Builder - You Dream It. We Build It. Local Custom PCs! 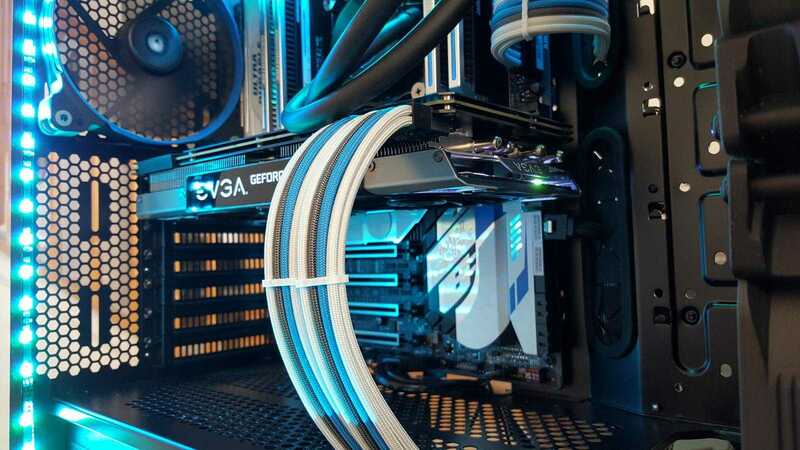 When it comes to getting your Custom PC Built the decision can be unnerving. We believe we’ve made the choice a simple one. We never mark up the parts, we just help you shop. You pay us only for our labor, expertise and time. We charge a fair rate for your project! You can come by anytime to discuss your options or just throw your ideas our way and get some feedback. Our shop is located next to Safeway at the SWC of Alma School Rd & Guadalupe Rd, in Suite B2. We are always willing to help fellow enthusiast and those that just want a really nice computer. We will help you realize your dream computer or build you a workstation like no other, it’s all up to you! We will always provide you with feedback regarding certain choices, but keep our opinions to ourselves. Everyone has individual taste and a custom computer build is very much the same. Check out our Instagram for build photos, and repair photos. So, if you want a Custom Gaming PC Build from someone who understands that milliseconds matter, as much as he understands that your custom gaming PC build should represent you as a PC gamer, the choice for a quality and experienced local gaming PC builder is really no choice at all. Visit Fast Fix Computer Repair for your custom gaming pc builder! Likewise, if you need a custom workstation computer for design, CAD, editing, or whatever you may use it for, we understand how software utilizes hardware. We will not help you pick out our favorite things, we will help you find EXACTLY what you need to accomplish your custom workstation pc build.